Stealth Spey lines are the result of many hundreds of man hours on the river. Although designed and manufactured on the latest state of the art computer controlled machinery the proving ground has been in the real and sometimes difficult world of deep wading, strong winds and the need for long casting. Every Stealth Spey line has been individually designed with a specific task in mind and then relentlessly tested until we are satisfied that you wont find a better line for the job. Dont worry about poly leaders, these lines will eat them for breakfast in every density up to extra super fast sink. 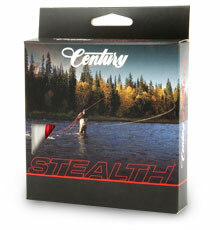 To buy a Stealth line is to be sure that we have done the thinking for you, you just need to fish.